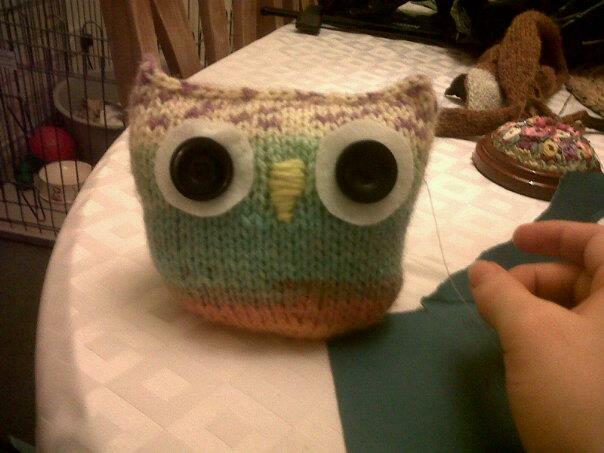 Im knitting up a teacosy! Its from this pattern here : http://www.ravelry.com/patterns/library/mistake-rib-tea-cosy The winter has been here for ages and Im sick of my tea getting cold! So here is one side of my lovely cosy! I dont know if I should do two different sides for the teapot cosy ? I get bored easily ! so the change of sides might be nice! answers below please lol! 🙂 basically I have this lovely wool and it has a purple speckled bit (you can see it in the owl below) in it too that I’d have to cut away if I want the sides to be exactly the same… seems a waste of wool! I made my lovely sisters these presents for their christmas and they loved them! I actually want to knit me one of each for myself ! so much I want to do!!! not enough time!!! The fox is a pattern by the lovely TinyOwlKnits 😀 her patterns really are amazing. You should definately have a look over at her ravelry and her website www.tinyowlknits.com She has many many other knits I want to try at a later stage. 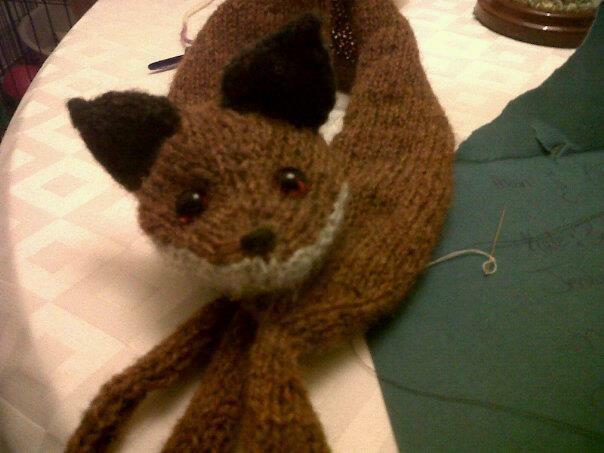 The fox was quite a straightforward knit too and Im pleased how he turned out. He took about 2 weeks to complete but I done him over a month along with my beekeeper quilt hexagonals I am doing. 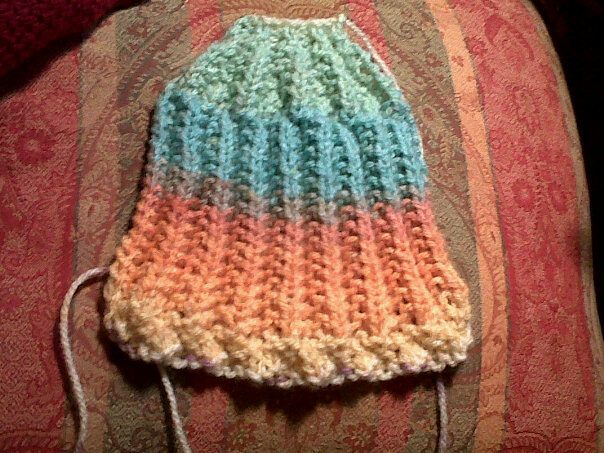 I used jamieson’s spindrift as suggested in the pattern, its a little on the itchy side of wool but looks lovely! I contemplated using fun fur to line him … or perhaps a fleece liner would work. Anyway he lives on my sister Kate’s neck now and is very loved. 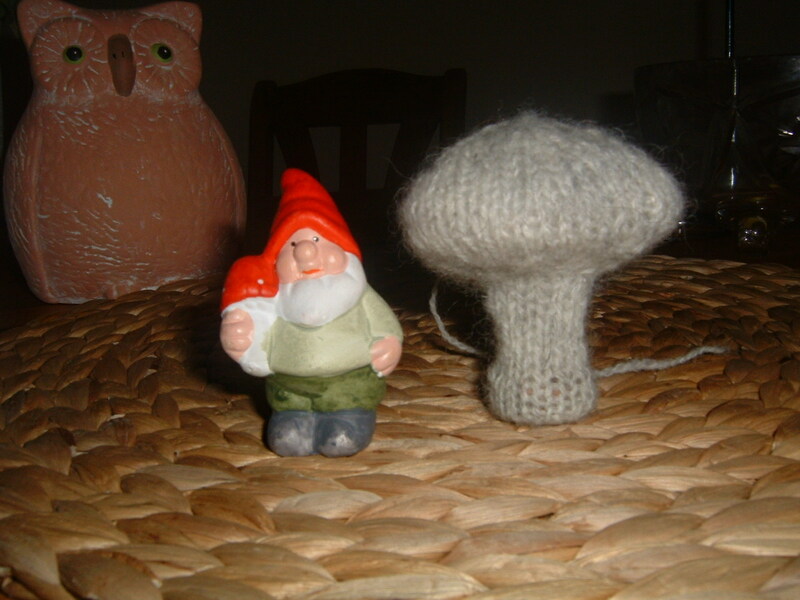 And I made this mushroom this week. My lovely husband Alain is driven insane with my constant knitting and bought me Ysolda Teague’s Whimsical Little Knits book … this was in the book and the Ishbel shawl.